PUBLIC ON-SALE DATE: Monday, March 25, 2019 at 11:00am MST. *Doors will open up 30 minutes before the starting time. PLEASE NOTE: Ten (10) minutes before the start of the service, all unoccupied seats will be made available for General Admission guests. Make sure you are in your reserved seats prior to this time. 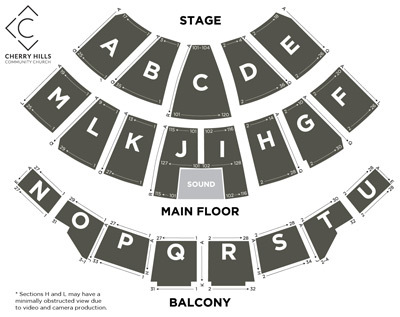 For wheelchair accessible seating, please call iTickets at 800-965-9324. Section H & L may have a minimal obstructive view due to video & camera production. If you will not be using all of the tickets purchased, please email ticketcentral@chcc.org.